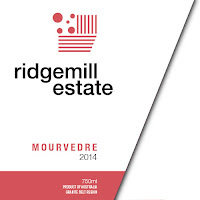 The portfolio at Ridgemill Estate is quite extensive. Mourvedre is usually blended away but it's good to see the variety stand on its own two feet this time in. 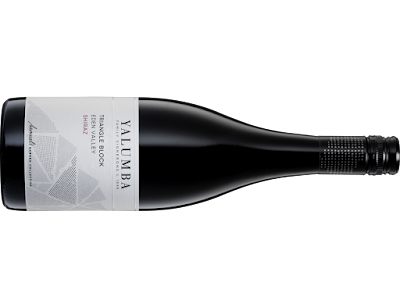 Grown by Golden Grove Estate in Ballandean, approximately 15 minutes south down the New England highway, the elevation is slightly higher too. Raspberry licorice, canned plums, dark berry fruits, dark chocolate and wood spices consume the nasal passages. Dense in the mouth, dark fruits and wood spices are prominent framed by fine tannins. After a good decant, this continued to evolve beautifully. Cool climate deliciousness. Drink now to eight years with roasted meats. A pretty smart Chardy here for around 25 bucks. Shop around and you'll find it much better - and it's worth it. White fleshed peach, struck match, almond meal, and fig aromas, the delivery has a minerally edge with textural ripples and a lemon undertow. Long and generous in the mouth, grapefruit like acidity wraps up a moreish finish. An off-dry style with the fruit wrestling the attention away slightly from the pretty aromatics usually seen taking centre stage with this variety. Lychee, lemon pith, and ginger spice are lapping at the shore. Fresh and crisp, that dab of sweetness makes this a fab match for Thai and Malaysian dishes. I'd just have a glass chilled down hard as an apreitif. A Chardonnay quick out of the blocks - 2016 already! This is a great introduction to the variety showing some complexity from old oak (50%) and the freshness of tank fermentation. Soft fruit with a lemony tang plus a nutty edge, whiffs of red apple, and a cheeky grapefruit like finish. 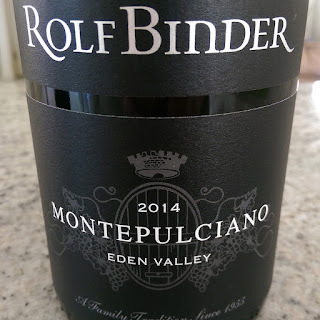 Good drinking and value from this entry level wine. "Red what?" These were the words which kick started Lindsay McCall's passion for winemaking in 1974. Last night I had the privilege of attending a Paringa Estate Masterclass hosted by owner Lindsay McCall and Crowne Plaza Surfers Paradise sommelier David Stevens-Castro. We looked at a range of Chardonnay, Pinot Noir and Shiraz including museum stock. With a family background in dairy farming, this is where McCall was headed too until the farm was sold. He turned to teaching and worked at schools on the Mornington Peninsula. A chance conversation changed everything. Without any formal training or qualifications, McCall bought a derelict apple orchard in 1984 and piled all his spare cash into setting up a vineyard whilst still teaching. By the early 90's he still had chalk in his hand but managed to plant out the property. His 'learn as you go' philosophy is quite infectious as he recounted numerous experiences. Trellising and planting were all done on the run so to speak. Cabernet and Shiraz were the first varieties in the dirt 'because that's what everyone plants' followed by Chardonnay and then Pinot (1988). All Cabernet has since been pulled out and replaced with Pinot Gris. 1987 was McCall's first vintage. Yields were incredibly lower than expected and his fermentation tank was too big for the task. After considering what he had at his disposal, a disused large fish tank was deployed. The 'learn as you go' philosophy was in full swing as the tank wouldn't retain any heat. Subsequently, an electric blanket was brought into play and wrapped around the fish tank to maintain the heat. The glamorous life of a winemaker hey? McCall's first commercial vintage was in 1988 where his Cabernet and Shiraz scored very well and put the winery on the map. Since those formative days, the Paringa label has consistently produced high quality wines with significant success at numerous wines shows. All this from two curious words back in '74. A heavier and more dense example of this Italian varietal, but the generous delivery has me sucked in admittedly. Tar, dark cherries and plums, black tea and some earthy savouriness. It's a wine which has a simple drinking factor yet offers complexity for thought. 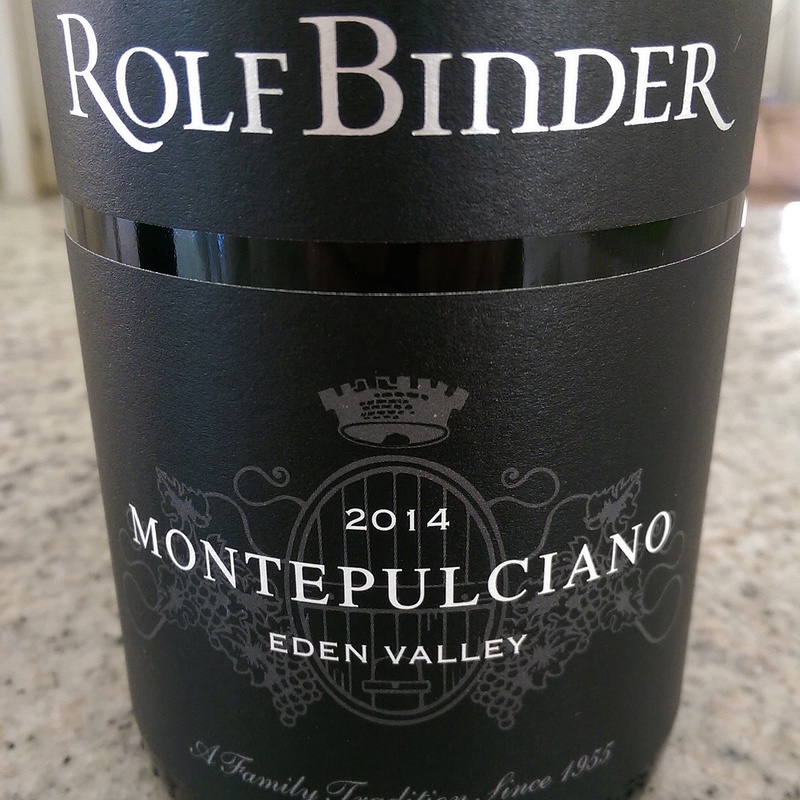 Mouthfilling and soft, it's long to finish and worth a look for those keen to mix it up a little. I suspect if you have one glass you'll have two pretty quickly. Drink now and for the next few years. 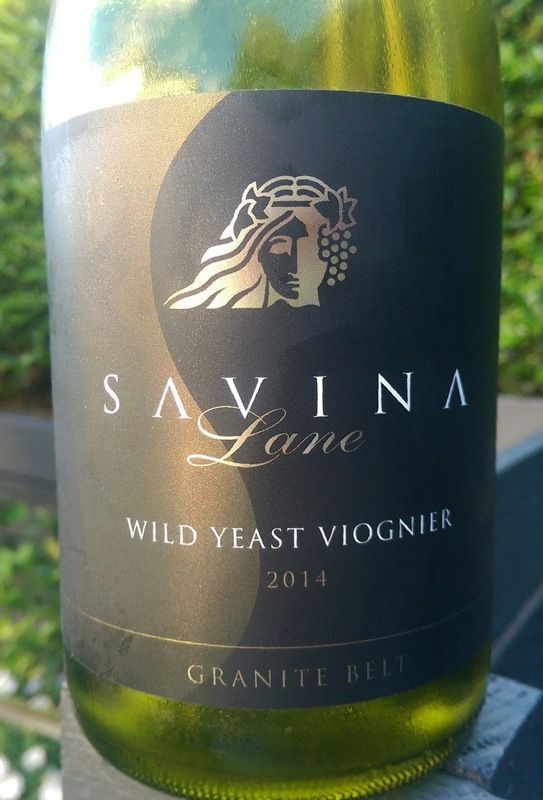 Savina Lane is the newest edition to the Granite Belt winery scene and sits on the site formerly known as Back Pocket. A new cellar door was built and some additional varieties were added to the vineyard. This Viognier was contract grown further south down Ballandean way, and as with all Savina Lane wines, it was made by Mike Hayes at Symphony Hill. First impressions are always important, and as this is my first look at a Savina Lane wine, I reckon they have hit the target. The packaging is neat and attractive yet the contents are better again. Win win. Apricot skin, yellow stone fruit and ginger spice aromas set things alight. Yellow peach, apricot kernel plus a gentle pepper touch is flanked by a reappearance of ginger spice in the mouth. There's some minerality too before a delicate vanilla cream waltzes up the middle. Plenty of length and depth, it's a delight to drink really. I'd happily drink a couple of glasses of this. As I pour this into the glass my attention is drawn to the dark appearance. A splash of Petit Verdot has made its way into this wine and its contribution is evident already. The fruit has been sourced from various Barossa Valley floor sites. Purple flowers, clove, mulberries, dark berries and plum fruit, vanilla and dark chocolate come to the fore. Soft delivery with a kick in the guts. There's some warmth in the mouth with a spicy tingle rattling home late. Worth a look and well priced too - savvy shoppers will find it for under $20. A wine which has that 'reliable' feel about it. Sourced from a vineyard in Broke in the lower Hunter, this spent 13 months in one to three year old French and American oak. There's nothing dazzling about its delivery. After some time in the decanter it felt as though it was still on its heals without much vibrancy to speak of. Canned plums, dark berries, and dried spices contribute to the medium bodied weight. Quite spicy and peppery to finish. Pizza and pasta dishes would lap it up. Bursting with energy, it prances about on point with absolute ease. Citrus goodness explodes out of the blocks with pretty florals, some musk and green apple in hot pursuit. Limes sit at the core and delivery is precise, clean and refreshing. This will age long term, but when wines such as these drink so beautifully so fresh, I'd lack the self control to hold off. I was interested from the outset here - Barbera from Cabernet country. A handy wine reaching out with some complexity and richness. Fifteen months in French oak has played its hand. A little warm in the mouth, perhaps a tad overripe. Plums, sour cherries and tomato leaf roll through with a deft touch of spice. Mouthfeel is soft and long with good acidity whipping up the tail. Drink now and over the short term. This is just a little package of happiness. It always has been really and may it long continue. On the lighter side of medium bodied, some of the vines contributing to this are 100+ years of age - you don't get many wines for around twenty bucks with that pedigree. Dangerously smashable, red florals, some hibiscus and red berries are lush as the mouth is coated generously. A fine dusting of spice rides gently through to a long and moreish finish. I've referred to this previously as the 'old boot' and deservedly so. I'd come back here time and time again. And extra point or two for pure pleasure. All fruit came from a range of McLaren Vale sites. The Grenache and Tempranillo were co-fermented, and along with the Graciano, all spent 8 hours on skins. The Carignan was simply bled off Saignee style from a red wine ferment. Spring time picnics here we go. Loaded with red berries and red fruit, it's a dry style Rosé that's fresh and lively with a delectable textural ripple. The fruit kicks through to a sustained finish. Chill it down hard and pour generously. Drink now and big smiles are soon to follow. In a previous post I said my bit about the new label - I still don't like it. Limes drive this Semillon which comes off vines dating back to World War II. Fresh and vibrant fruit fills the mouth well with cleansing acidity cutting a neat path. A pithy factor hangs on by its claws. Good drinking all round really - this has fish 'n' chips written all over it. 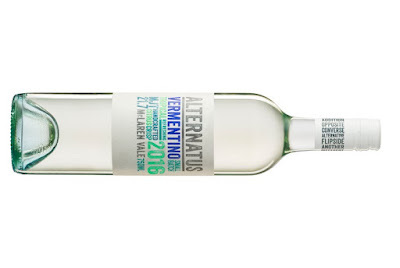 This is the second release of this Vermentino off the banks of the Wyaralong Dam - 16 kilometres west of Beaudesert. For the owners, a trip to Spain saw a passion for wine turn into a reality. Fiano, Tempranillo and Montepulciano make up the other varieties grown on the property planted in 2010. The wines are made by Mike Hayes out of Symphony Hill on the Granite Belt. Young vines are showing their hand here bursting from the blocks but easing off early. A pretty perfume of little white flowers, kaffir lime leaf and lemons. Refreshing to taste, though there is a line of nothingness straight through the middle. Watery would describe it best. Firmish acid knocks everything in place with a late charge from some lemon sherbet. Some time on lees wouldn't hurt to give it some textural interest. That mid-palate disappearing act takes it back a notch or two. A super easy drinking wine. You can tease out the three varieties pretty easily as they initially sit in isolation but all of a sudden within seconds they crash together in unison. Fruit sweetness from the Grenache is evident. Rosella, red berries and red frogs aromas straight up. 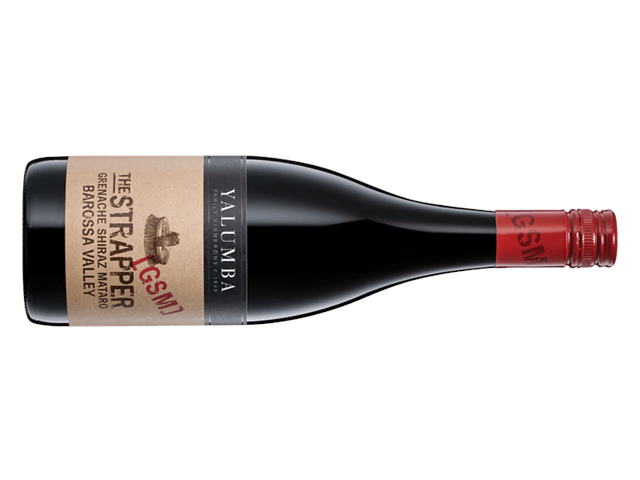 Peppery Shiraz on the flank then earthy Mataro rides straight up the middle. A nice enough drink that will please many. Good buying when you find it under $20 too. Sourced from the Oliver's Taranga vineyard, a small portion saw skin contact for three days. 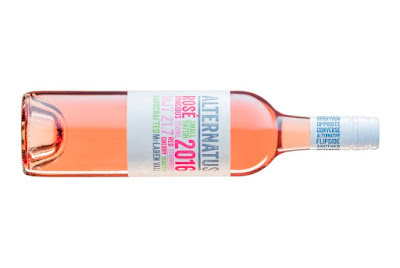 The aim of this wine was to be a textural, vibrant and a fruit driven style - tick, tick tick. A gentle perfume of white peach skin, ginger spice, and honeyed tones. Just under 10% saw time in old oak to add a little more body. That stone fruit cycles through with ease with a ginger bread spice fleck to finish. Tasty wine and great value. Coming off vines planted in 1990, there's plenty here to bring a grin your dial. Bright, fresh and juicy. Dark cherry fruit with some sap and an ever so slight hint of mint. Soft delivery and supple tannins. Peppery spice seems to tip toe through as though it doesn't want to be noticed - stealth mode perhaps. A well balanced wine for the pleasure seekers which doesn't cost a bomb. The fruit was sourced from two McLaren Vale sites - one owned by Oliver's Taranga and the other on California Road. A leaner style, it's fresh and the delish factor is there. Cut cucumber, lashings of tropical fruit and a squeeze of citrus. A short time on yeast lees has added some textural appeal - a clever finish creating a moreish factor. Ridiculous value for the money spent. Riesling lovers should fight their way to the counter for stuff like this. Loaded with lemons and limes - there's a neat citrus drive throughout. Greens apples deliver extra charisma as do distinctive bath salts plus talc calming appeal. Deliciously moreish and refreshing, this exemplifies why Riesling is so great. Hunt around and you'll find it for less than 15 bucks - a fantastic bargain. Not your usual Pinot Noir territory but this works, and I like it. Only two Pinots come from the Coonawarra region, the other from Patrick. The fruit here has a little more punch - a bit more density and deep rooted. It's well balanced and has a charming consistency about it. Sure, it's not the delicate and pristine type you get from other regions, but this is good value and solid drinking. Apart from usual varietal traits, I even detect pickled beetroot and balsamic like aromas. There's a little red apple acid crunch too. I'd have a glass or two with ease. This is more of a fruit salad Sauv then a grassy focused example. Bloody good aromas too - passionfruit, pineapple husk, guava, melons, et al. Very tropical indeed. The fruit theme holds true in the mouth too. There's none of that 'greenness' present which can be off putting with this variety. Clean and crisp, the acidity is well balanced delivering a very refreshing wine. Drink now in the sun listening with a cool breeze caressing your face. Some fresh seafood wouldn't hurt either. I've never met Duncan Cook though we've shared numerous emails over the few years he has been sending me samples. He strikes me as a humble and conservative guy, something which is portrayed through his wines. Duncan is producing some terrific wines out of Orange, and whilst his pricing has been just as humble and conservative over the years, he is starting to step things up now. 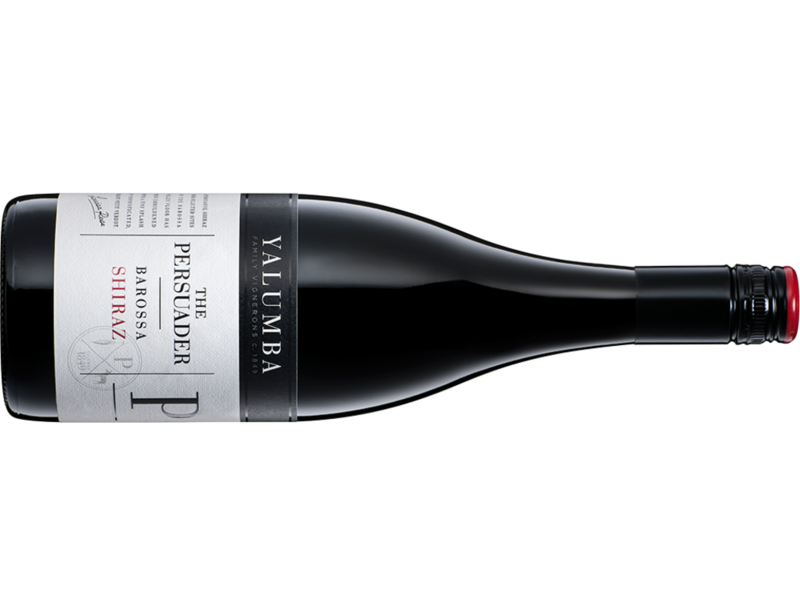 This handpicked Shiraz is his flagship for the variety. Other wines in the range shoot for around $20 - too cheap for what you get. This weighs in at double that. It's smart booze too, very smart. A small portion of whole bunches were used to produce this elegant style. Fruit, oak and acid all walk in unison delivering a wine of precision and class. Dark cherries, baked raspberries, a dollop of blueberries and mulberries plus cedary oak hit the spot early. An elegant line of spice has a chauffeur driven passage through the middle providing a long and sustained finish. I don't usually finish off sample bottles but this was too good to resist. A wine certainly worth hunting down. Drink now or cellar for up to ten. Hello to the flagship of the Hollick range. The best of everything has been thrown into this. A bit of a gutsy beast and some time in the glass helps it find its feet. Give it a good decant - it was singing as a result. I tasted this three days on and it was still dancing proudly. 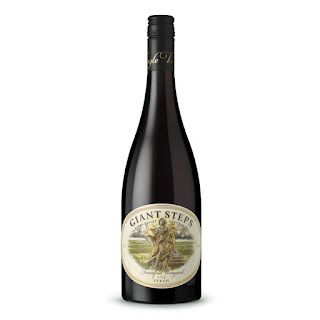 Built for the long haul it spent 18 months in oak and presents leafy, capsicum and expected cassis characters though the alcohol still protrudes. Pencil shavings and earthy characters roll on by. Acid and tannin holds together in sync on the back end - nicely balanced. Quite a moreish wine I must say. One for little sips and lots of thought and a nice piece of meat. Drink now or cellar for a decade plus. Take a whiff and custardy oak rules the roost, a little too pronounced for mine. Veiled honeycomb and then a squeeze of lemon sneaks through. There a creaminess and texture about the delivery from time on a small portion of lees culminating with a lick of mandarin peel to finish. I'm warming to it I must admit but the 2013 was a notch above I feel. 'Musca' is a small constellation in the southern sky - something I never knew. The significance between the constellation and the winery is that the vineyard sits beside the UTAS radio telescope. A supple yet concentrated wine. Estate grown, it spent 12-14 months in oak (a small portion in American oak) after being left on skins for 3-5 days. The concentration comes from a cool vintage resulting in smaller bunches bringing on that intensity. Pizza night and pie night could make very good friends with this. It's not a wine that will set the world on fire, but it is a good reliable drink to kick back with. Dark fruits and savoury aromas are coupled with firmish acidity which will cut through pizza, pastas and pies. The fruit hangs long. Good going for the money. Drink over the next couple of years. Super fresh and super fluorescent. Pretty pink, bright pink in fact looking an ever so slight shade darker than watermelon juice. Fresh aromas of watermelon and red berries. The fruit doesn't have the vibrancy of the aromas but it's a neat drink no less. The finish is drying with a peppery spice. Something worth considering to quench your thirst on a sweltering day. A new wine in the Vintage House portfolio, this is an organic Tempranillo from a Spanish winery established in 1998. The cork smelt of pine and pine needles - I wasn't sure of what was coming next. Quite a dense wine, oak is on the heavy side. Red fruits try to nudge their way forward without luck. Peppery spice clings to an abrasive mid palate. After being open for a few hours it didn't settle all that much. It lands on these shores for $20, but there's a few others I'd lean to given the choice at this price point. Pool wine at its finest. I had a pool built last year and much of summer was spent in it. After having a sample of this 2015 come through, I bought half a dozen to wash the heat away - 'pool wine'. Enter the 2016 and it appears nothing has changed and a purchase will again be made. Some mighty fine drinking here. 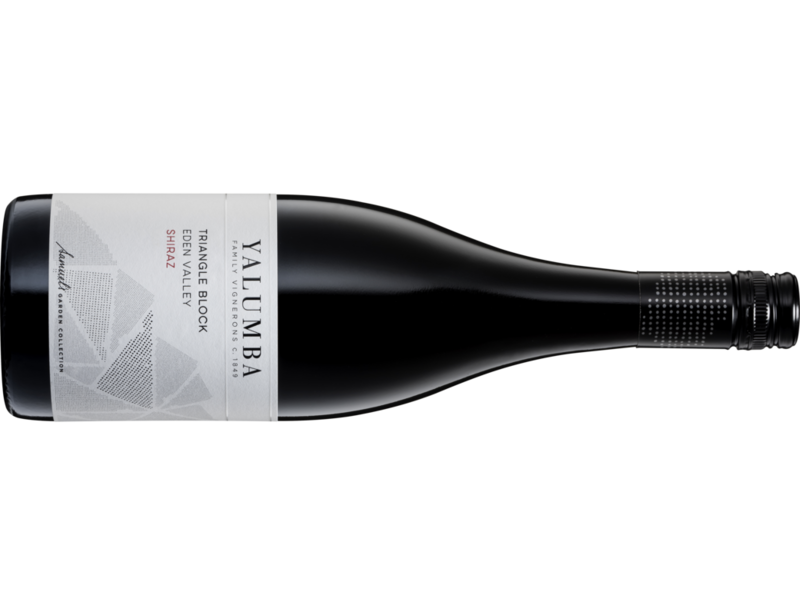 Lusciously medium bodied, sweet blackberries and dark fruits deliver a line and length display the great Glenn McGrath would be proud of. 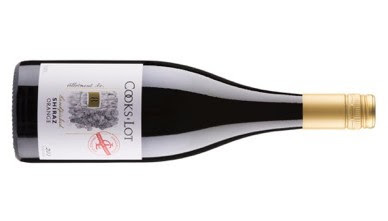 Wrattonbully doesn't get as much kudos as big brother Coonawarra down the road, but the quality of the fruit from the region cannot be denied. A neat wine from the cool arms of the Eden Valley. Raspberries, dark cherries, cherry vodka, blue and black fruits plus black pepper and a baking type spice coils around the mouth. There's a dollop of Viognier in here also to lighten things up. There's plenty going on for sure. A range of oak of varying age is also used here with good balance. Grainy tannins on a drying and long finish just hums in the mouth. Good going for a BBQ I reckon. Here's a value pick for a tenner. 25% of the fruit comes McLaren Vale with the majority from the Riverland. Wash your mid week blues away with this easy drinking penny pincher. Plummy, red berries, peppery spice, and simple toasted oak. It's bright and right in the slot for bargain hunters. Drink now and over the next couple of years. A good drink for the budget conscious - very approachable with plenty of easy drinking appeal. Poached pear, green melon, apple crumble, some cinnamon like spice which lingers. A dab of sweetness with tightish acid tucked behind that sprinkle of spice. The value and good drinking factor for 10 bucks can't be disputed. 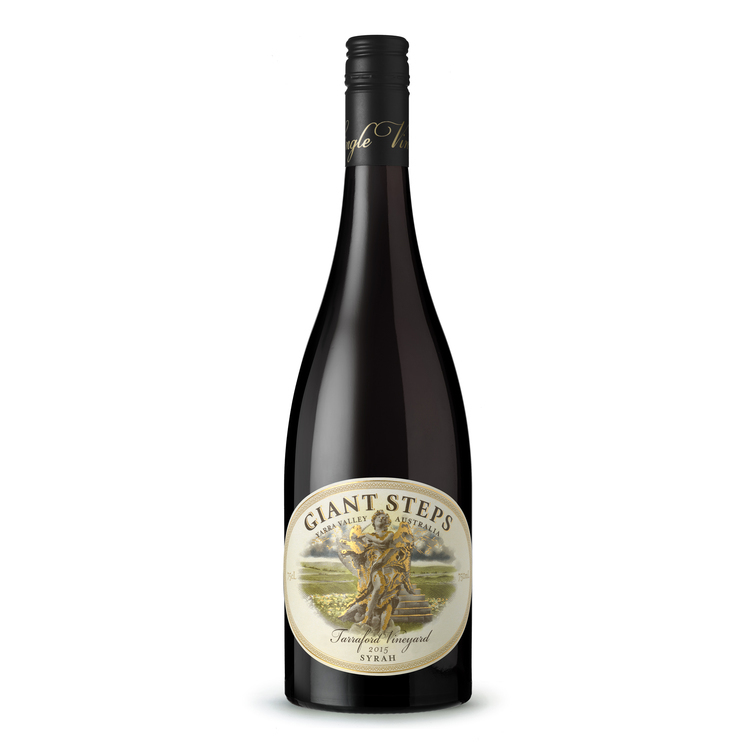 This is similar to the Giant Steps Syrah '15 but on steroids - and I like it!! The fundamental difference being 95% whole bunches used here compared to the 40% in the vineyard blend, plus the fruit here is entirely from the Tarraford vineyard. The dial of deliciousness has been cranked up high. Spring is in full swing and wines like these make you want to do nothing more than head outside and soak up the sunshine. 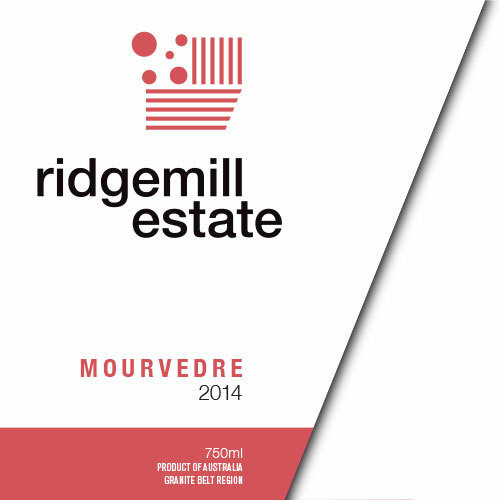 This single vineyard wine has hopped and skipped around the Hunter Valley. The 2014 came from the Sunshine vineyard, 2015 Wilderness Road and now this 2016 comes from a Majors Lane vineyard. I'm hoping winemaker Mike de Iuliis finds a happy home here. Whilst the 2015 was impressive, I feel this is a notch above. I get a sense that this wants to hang out with the cool kids but it just hasn't got the edge to mix it with 'em. The bones of a great wine are here but they just don't seem to mesh. Barrel fermented with indigenous yeast, the oak presence is high. A pretty tasty wine. There's not a heap of complexity about it, though it offers a smooth ride. Sure there's no leather seats, sports steering or alloy wheels, but the drive is comfortable no less. 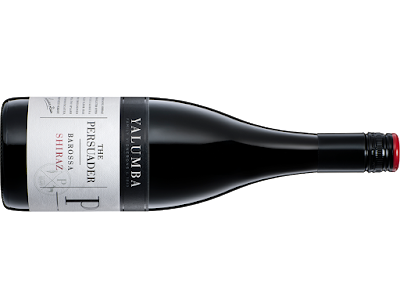 Earthworks is an exclusive label made by Yalumba for a chain retailer. The label has that chain store retailer 'home brand' look about it, but those like me who aren't in support of such gauging can breathe easy. Curiously, the Earthworks website doesn't appear on the label. Two new releases from Angullong and the target is hit again. Another beaut buy for $20. I have long believed that Orange produces some great Sauvignon Blanc, and perhaps the region doesn't get the attention it deserves. This release from Angullong is another reason to sit up and take notice.